What about smaller species such as bacteria, archaea, protists and fungi? Collectively, these microbial taxa are the most abundant, widespread and longest-evolving forms of life on the planet. What is their contribution to global biodiversity? When microorganisms are taken into account, recent studies suggest that Earth might be home to a staggering 1 trillion (1012) species. If true, then the grand effort to discover Earth’s biodiversity has only come within a 1,000th of 1 per cent of all species on the planet. During the mid-1990s, a growing number of microbiologists began to abandon cultivation techniques in favour of identifying organisms by directly sequencing nucleic acids – DNA – from ocean water, leaf surfaces, wetland sediments, and even the biofilms inside of showerheads. Over the past decade, these methods have been dramatically refined so that millions of individual microbes can be sampled at once. With this high-throughput approach, we have learned that a single gramme of agricultural soil can routinely contain more than 10,000 species. Similarly, we know that nearly 10 trillion (1013) bacterial cells make up a human’s microbiome. These microbes not only aid in their host’s digestion and nutrition, but also represent an extension of its immune system. Looking beyond ourselves, microbes are found in Earth’s crust, its atmosphere, and the full depth of its oceans and ice caps. In total, the estimated number of microbial cells on Earth hovers around a nonillion (1030), a number that outstrips imagination and exceeds the estimated number of stars in the Universe. Naturally, this begs the question of how many species might actually exist. Long lists of species have been made for nearly every ecosystem on Earth, with nearly 20,000 plant and animal species discovered each year. Many of these species happen to be beetles, but reports of rodents, fish, reptiles and even primates are not uncommon. While exciting to biologists and the public alike, new plant and animal species contribute only around 2 per cent per year to the total number of species, a sign that we might be approaching a near-complete census of those organisms on the planet. In sharp contrast, deep lineages containing untold species are being described at a rapid rate in the microbial world. A few years ago, from a single aquifer in Colorado, scientists found 35 new bacterial phyla; a phylum is a broad group containing thousands, tens of thousands or, for microbes, even millions of related species. 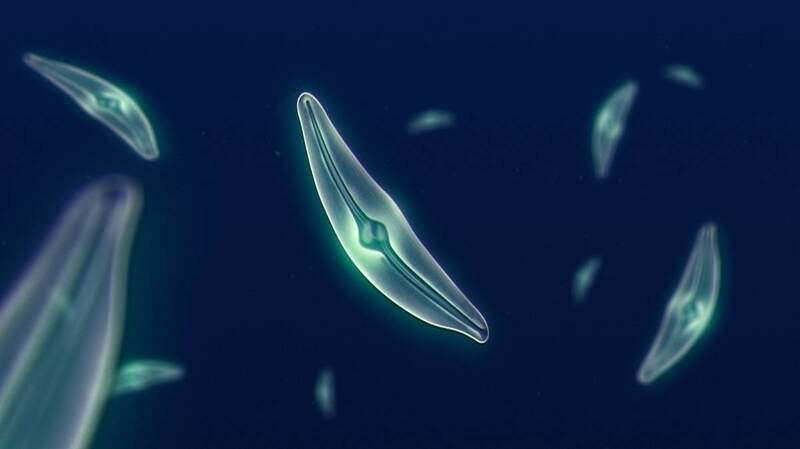 The phyla discovered in that one aquifer amounted to 15 per cent of all previously recognised bacterial phyla on Earth. To put this in context, humans belong to the phylum Chordata, but so do more than 65,000 other species of animals that possess a notochord (or skeletal rod), including mammals, fish, amphibians, reptiles, birds and tunicates. Such findings suggest that we are at the tip of the iceberg in terms of describing diversity of the microbial biosphere. Nevertheless, there are ways of categorising organisms based on shared ancestry, which can be inferred from genetic data. The most commonly used technique for delineating microbial taxa involves comparisons of ribosomal RNA (rRNA) gene sequences. This gene is involved in building ribosomes, the molecular machines that are required for protein synthesis among all forms of life. By comparing the similarities among sequences, scientists can identify groups of taxa without needing to grow them or painstakingly characterise their physiology or cellular structure. Of the many caveats associated with this rRNA-based classification of microbial taxa is the fact that it likely underestimates the true number of species. If so, then the recent prediction that Earth might be home to as many as 1012 species could, in fact, be a conservative estimate, despite its incredible magnitude. Knowing the number of microbial species on Earth could have practical implications that improve our quality of life. The prospect of yet-to-be harnessed biodiversity might spur development of alternative fuels to meet growing energy demands, new crops to feed our rapidly growing population, and medicines to fight emerging infectious diseases. But perhaps there is a more basic reason for wanting to know how many species we share the planet with. Since the predawn of civilisation, the survival of our species depended on trials and errors with plants, animals and microbes that we attempted to harvest, domesticate or avoid all together. Our interest in biodiversity also reflects an intrinsic curiosity about the natural world and our place within it. Whether to admire, protect, transform or exploit, humans have never sought to be wholly ignorant of the species that inhabit Earth. Jay T Lennon is a professor of biology at Indiana University, Bloomington. Previous PostWhat Time Are We Living In? Geologists Fight It Out!Next PostWhat causes the phases of the moon?